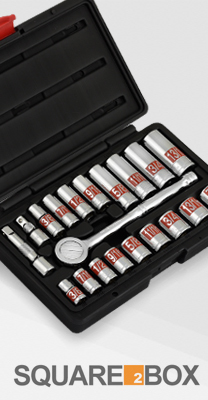 Easily organize your socket sets with this comprehensive set of Aluminum Socket Organizers. Includes 3 rails for 1/4", 3/8", and 1/2" drive sockets. 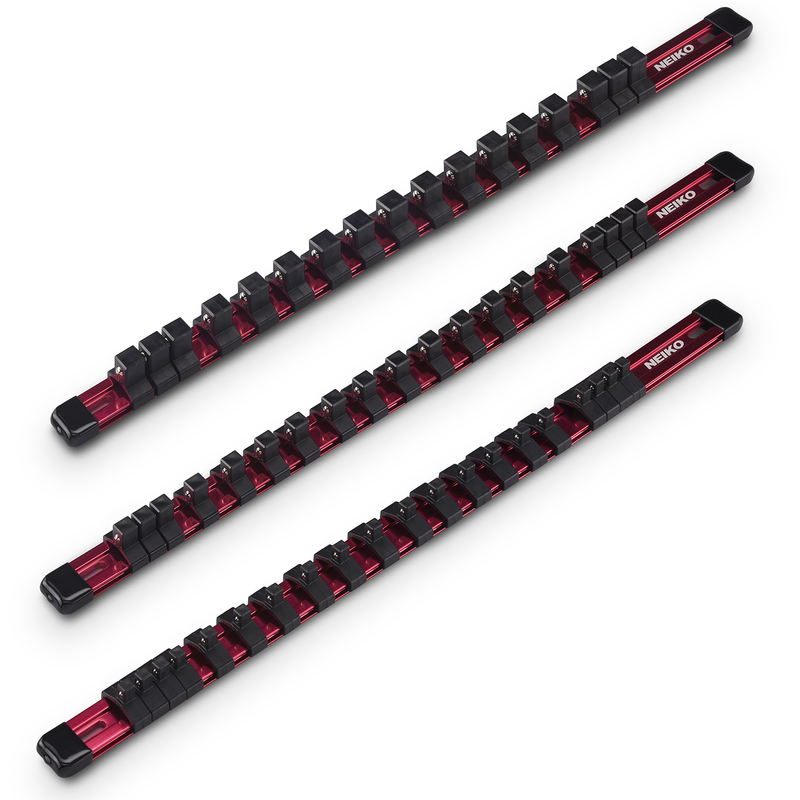 Perfect for keeping your sockets organized and makes locating the socket size that you need with ease. 20 sockets for 1/4", 18 sockets for 3/8" , 16 sockets for 1/2"